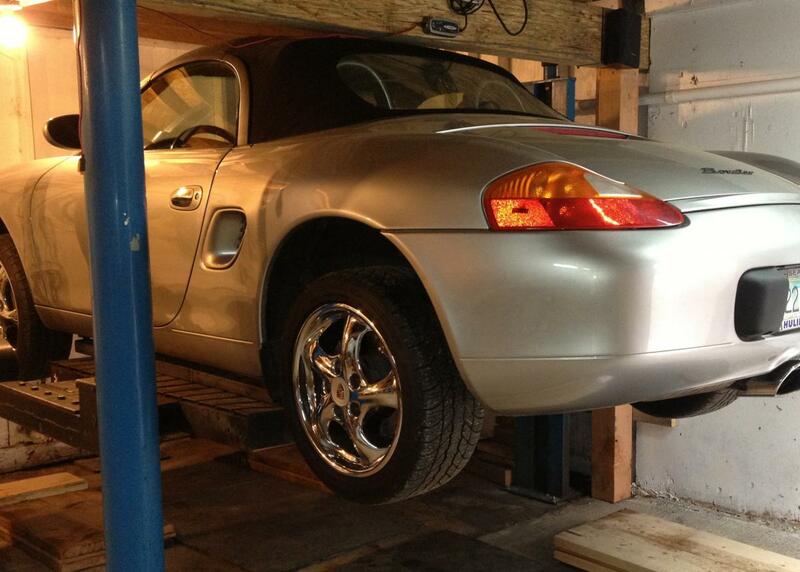 Installed this hoist in my 2nd garage for my boxster. It is an oldie but a goodie. Easy to get at engine and transmission. Paid $400...1977 Bradbury 3 post. 4" of concrete, has only 1 hydraulic cylinder and 2 sets of cables for the other posts. 220v 3phase motor that I am running on 220v single via an inverter. Bradbury of Braintree! I've not seen one of those in ages. With no load on the lift inspect all the cable pulleys for wear and play in the axle bushings as it's a common point of wear on these older lifts. Thanks, I did...it was well maintained and working in a small Foreign Car specialist in Vancouver. The garage owner was 8 when his father had the lifts installed...he made sure he sold it to someone who would use it and not scrap it. 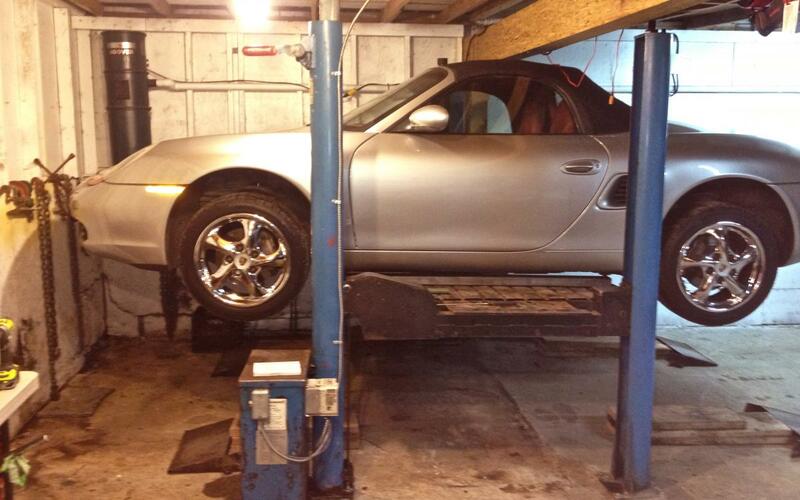 Here's a picture of how I unloaded it. I have one of those lifts myself. Do you happen to have the manual of the hoist? Let me know if you could give a hand.